Visiting the coastal city of Nha Trang (Khanh Hoà), if you do not visit these beautiful islands in Nha Trang Bay, it seems that your trip gets incredibly boring. Apart from the inner-city attractions, there are nearby islands with clear water that are indispensable part of a memorable tour. Check them out below! 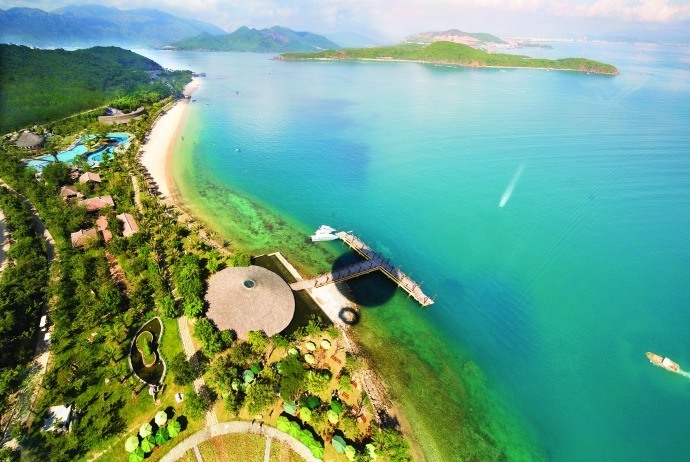 This is considered as the most romantic, poetic island in the system of islands in Nha Trang Bay. This island is located in the southeast of the city, about 12 km from the seashore, and takes approximately 50 minutes to travel by boat. Mun Island is blessed by the Mother Nature for a diverse marine ecosystem along with magnificent coral reefs. That is due to its location adjacent to the hot sea-currents from equator, which is suitable for the developing conditions of corals as well as different kinds of tropical sea creatures. It was estimated that Mun Island has up to 1500 types of corals and marine animals, 340 species of hard coral… The Wildlife Fund has assessed that this is home to the most diverse biological resources in Vietnam. Visiting Mun Island, you will discover the beauty of the seabed with colorful coral reefs, a lot of sea creatures such as fish, shrimp, squid… with clear blue water, you could easily contemplate the setting of marine life as well as vegetational cover at the bottom of the sea. If you want to experience scuba diving in order to directly feel those great things, Mun Island is an ideal choice because here you will have a chance to participate in scuba diving; the diving area here has very clean and clear water. In case you do not know how to swim, then do not worry because there will be guides that tell you. Do not hesitate to experience these exciting things, just start your journey! This is the smallest island in the bay of Nha trang yet it has a simple but strangely fascinated beauty. Not having flashy beauty like other islands, Mot Island has casual and approachable feature. Here, there are just few inhabitants living and the main earning methods are fishing and aquaculture, in addition to some coconut gardens, mango gardens. Tourists visiting this island can contemplate the sea; go snorkeling or swimming; or leisurely strolling around the gardens of local people. By that way, the stress and pressure from the daily life and work will alleviate a lot. Just come and experience the feeling of relaxation, lightness, and tourists will surely experience interesting things. 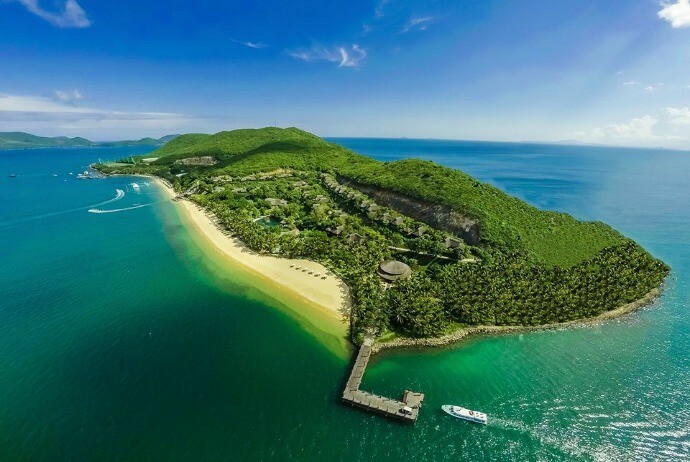 Considered as one of the most beautiful islands in the island system of Nha Trang Bay, Tam Island is located about 7km to the east of Nha Trang City; it takes about 7 minutes to travel by speedboat or 25 minutes by ship. The reason behind the name “Hòn Tằm” is that, at the ancient times, this island is shaped like a green worm located in the middle of the sea, head back the East. Tam Island has not only the beauty of an island but also the lush tropical forest which is the shelter for thousands of sea birds. Visitors can freely stroll around the seaside, relax or discover green forests with biodiversity. Around the rock ranges, thousands type of fish along with colorful corals make travelers peaceful and exciting. Thus, this island is a wonderful spot of health improvement and recreation. Tam Island has all the natural elements, including forests and coasts creating beautiful beaches, plus with the man-made elements, which are establishments having harmony with the nature and facilities serving the needs of tourists, such as golf courses, resorts, and properly planned beaches. All of them creating very special features that attract a large number of tourists coming. On the other hand, Tam Island also offers a lot of types of water sports like jet skiing, windsurfing, boating, parachute pulling, adventure diving. Other than that, travelers could enjoy camp-fire nights on this fascinating island. If you have not yet experienced those exciting, then do not hesitate to plan your trip right now. 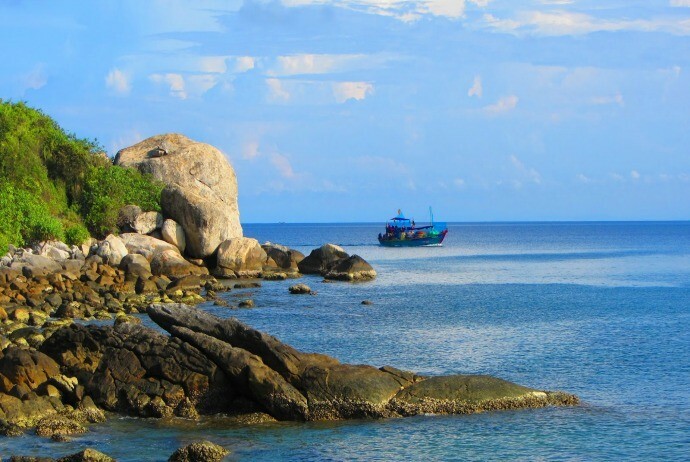 This is the most inshore among islands in Nha Trang Bay. 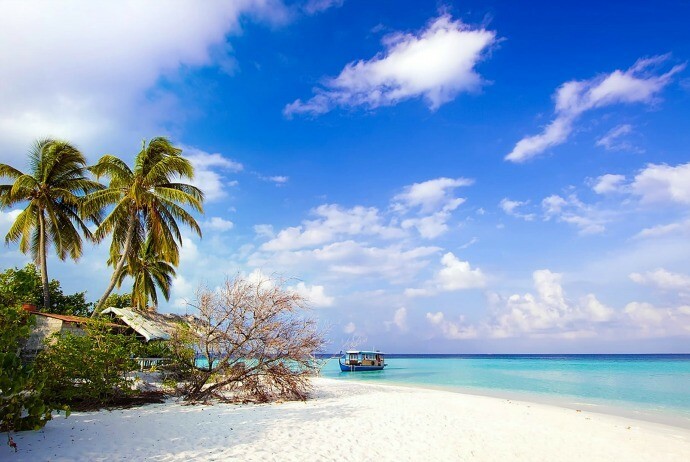 If you want to have a quick trip to visit islands, then Mieu Island may be the most suitable option. Visit this island, apart from contemplating the pristine beauty, freely immerse yourself in the sea space, you can also visit Tri Nguyen (Trí Nguyên) aquarium and Bai Soi (Bãi sỏi) beach. There are hundreds of rare and beautiful sea creatures in the aquarium, creating a living museum of the sea. Tri Nguyen Aquarium is an artificial aquarium built in the 70s of the last century – where there are hundreds of species of rare marine life. A lot of tourists visiting here often prefer to visit this aquarium and take photos. Bai Soi beach – a pristine beach overlooking the sea, in front of a giant forest of brushwood – it has a lot of gravel instead of fine sand as other beaches, maybe this is the reason for its name. Tourists who go diving at the cliffs near Bai Soi beach will have the chance to see the beauty of coral and sea urchins. This beach has idyllic beauty so it is one the beaches that attract a lot of visitors as well as habitant live on the island. You can comfortably indulge yourself in the crystal clear waters, enjoy the fresh air here. 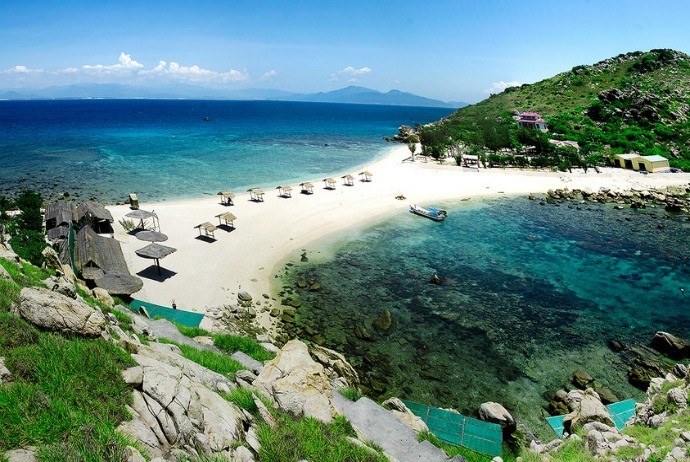 This is also one of the islands that tourists hardly ignore when visiting Nha Trang. Vung Me (Vũng Me) – Bai Tru (Bãi Trũ) – Dam Gia (Đầm Già) – Bai Ran(Bãi Rạn) zone: this is the zone that VinGroup invested in building an entertainment area named Nha Trang Vinpearl Land tourism Paradise. Vinpearl Land has a lot of unique services, including 7 projects: Con Se Tre (Con Sẻ Tre)Resort, Vinpearl resort and spa, Vinpearl eco-tourism and underwater world zone, Hon Tre cultural park, Bai Soi eco-tourism zone, Vinpearl villa and golf course zone, and 1 proposed project. Vinpearl Land is connected to the mainland by the longest cable system in the world. Dam Bay (Đầm Bấy) zone: this area is currently developing the marine eco system with abundant coral reef; diving service here is developing strongly; Dam Bay eco-tourism village also launched resorts and commercial and culture centers serving tourists, both domestic and international. This is a famously known island nearby Nha Trang Bay. It is about 10 km from the heart of the city of Nha Trang, and could be visited in different ways. 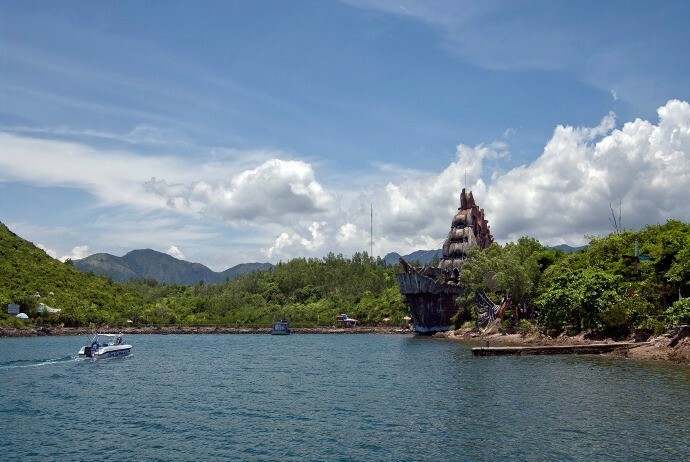 If you have limited time, then opting for an all-day boat trip to Monkey Island is not a bad idea, yet if you want to have more time for relaxing there, you could easily do it by yourself. Monkey Island is a private one about 2 kilometers off the coast. It is a rather large island with about 1,500 monkeys living there. There is a beautiful beach with chairs and huts for tourists to use and a water slide along with other toys out in the blue water. Some interesting gardens and shops are attractions of this island. However, the major attraction are the colony of monkeys which are free to roam all corners of the island, and the monkey and dog show running thrice per day, conveniently timed for those large tourist groups who arrive at 10 am, 2 pm and 3:20 pm. It is worth noting that everything on Monkey Island is free and visit, except for the weirdly incongruous go-kart track sitting adjacent to the major feeding zone. If you arrive on a certain boat tour, everything will be included in that price. If you choose to visit Monkey Island by booking a tour, you could book a full-day tour through any travel agency. The tours will be generally similar to each other. You will be picked up right in front of your hotel at about 8 am and the bus will take you to Da Chong Prier, followed by Phi Island and Orchid stream Island, and the last Monkey Island. In case you choose to visit Monkey island on your own, then you can rent a motorbike, take a scenic drive up to the ferry on your own. After arriving on this island, you can take part in many activities, including feeding the monkeys. The most popular thing to feed monkeys is corn. It is not easy to find bananas around to buy, so the monkeys will be thrilled if you can bring some of your own to feed them. However, the key to those monkeys’ hearts and stomachs is cookies. Despite when you give corn to them, they will gladly to eat, yet do not show much enthusiasm in compared as cookies. Visiting the Salangane Island, tourists will be able to witness the birds nesting in the cliffs. The island, also known as Hon Noi – Hon Ngoai (Hòn Nội – Hòn Ngoại), is the place where salanganes concentrate a lot. Hon Noi and Hon Ngoai is two of many islands that have the highest concentration of salanganes nest in the system of islands in Nha Trang. Visiting this destination, tourists will witness salanganes building nests in the cliffs, visit the Salanganes Nest temple, and learn about the history of the industry of Salanganes nest here. Besides, tourists can also climb up the stone stairs to get the summit of Du Ha (Du Hạ), about 90 meters in height. 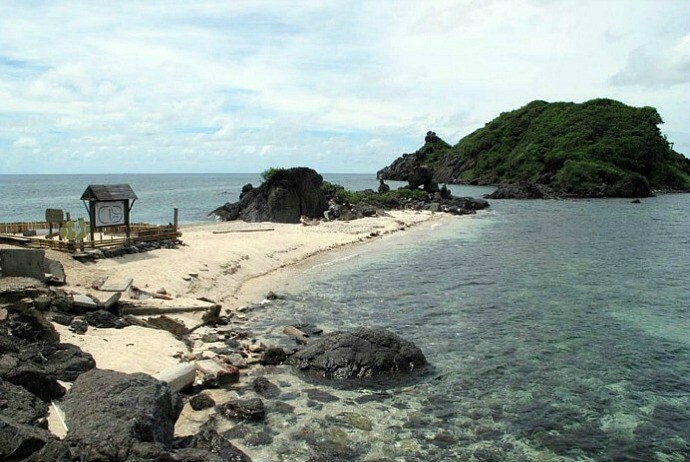 This is an ideal location for those who want to capture the beautiful images of Salanganes Island. From the Du Ha summit, travelers could delightfully admire the panoramic view of sea and water, the rocks with weird shapes in the middle ofthe vast space.